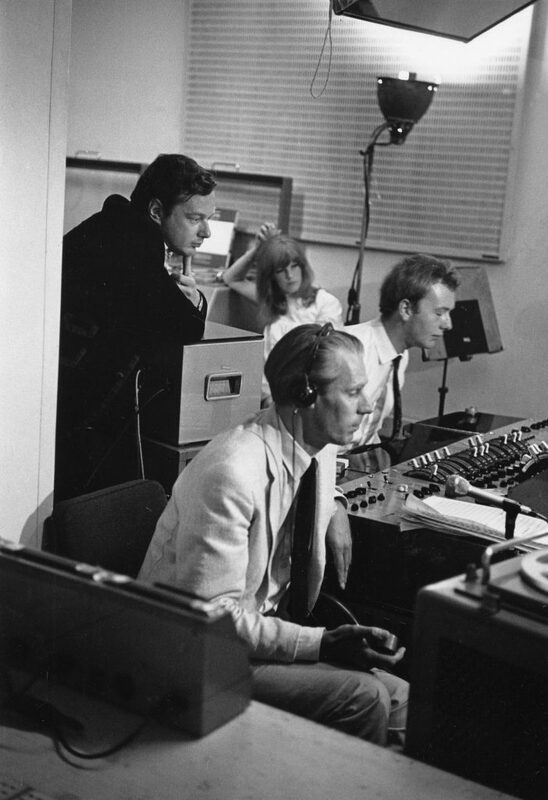 The following is an extract from Sound Pictures: The Life of Beatles Producer George Martin (The Later Years: 1966-2016) by Kenneth Womack, published by Orphans Publishing, 2018. 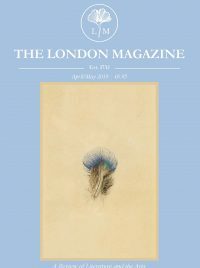 Republished in The London Magazine with permission. …With the pressure building for the band to complete “Penny Lane” for a mid-February release, George and the bandmates were racing headlong toward a hard deadline for the first time since bringing Revolver to fruition in madcap style back in June 1966. 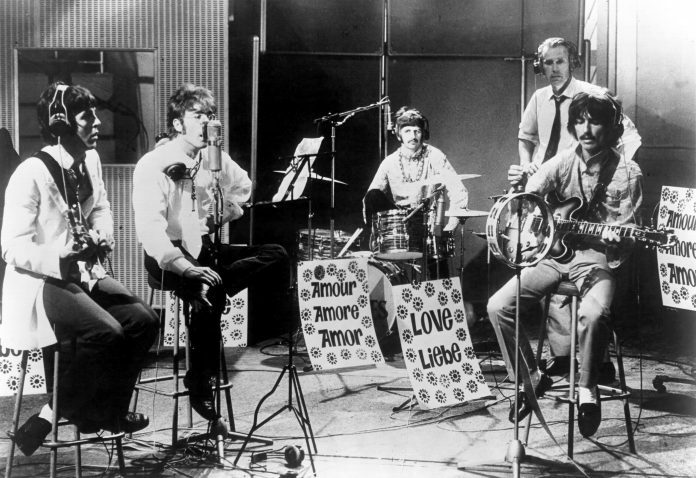 And an overnight session on Tuesday, January 10, found the Beatles recording more overdubs onto take nine of “Penny Lane.” Much of the evening was devoted to working with an array of harmonies and sound effects, the most notable of which was the superimposition of a handbell. Scavenged from the studio trap room, Ringo Starr rang the handbell at key junctures in the song when the fireman and his fire engine are referenced. …For George and the Beatles, the studio was dark on the evening of January 11. With the bandmates taking a rare day off, Paul McCartney stayed home at Cavendish Avenue, where he watched BBC Two’s Masterworks television series. That evening’s episode included a performance of Johann Sebastian Bach’s Brandenburg Concerto no. 2 in F Major by the Chamber Orchestra of Guildford Cathedral, featuring trumpeter David Mason, the principal player with London’s New Philharmonia and an internationally renowned musician. Watching Mason as he performed one of the most difficult trumpet pieces in Bach’s repertoire, McCartney was dazzled. When he reconvened with Martin and the other bandmates the next day, the Beatle was still gushing about Mason’s exploits. “What was that tiny little trumpet that fellow was playing? I couldn’t believe the sound he was making!” said McCartney. “That’s called a piccolo trumpet,” Martin replied, “and the chap playing it was David Mason, who happens to be a friend of mine.” With space for a solo still available at the heart of “Penny Lane,” McCartney was ecstatic. “Fantastic!” he told the producer. “Let’s get him in here and have him overdub it.” And Martin did just that, booking the distinguished player for a session less than a week later. …The recording sessions associated with “Penny Lane” would finally reach their fruition on Tuesday, January 17. Working an evening session in Studio 2 of EMI, George and the bandmates welcomed David Mason into their midst in order to provide the song’s finishing touches courtesy of an exquisite piccolo trumpet solo. While he was delighted at being able to meet McCartney’s expectations and book Mason for the session, Martin approached the evening with a degree of uncertainty. “We had had experience of professional musicians saying, ‘If the Beatles were real musicians, they’d know what they wanted us to play before we came into the studio.’” To Martin’s great relief, Mason “wasn’t like that at all. By then the Beatles were very big news anyway, and I think he was intrigued to be playing on one of their records, quite apart from being well paid for his trouble.” For the January 17 session, George had managed to secure the special Musicians’ Union fee of nearly twenty-eight pounds. This meant that Mason would receive nearly double the going rate for session musicians during that era. …True professional that he was, Mason played [his part] perfectly the first time through, including the extraordinarily demanding solo which ended on a note that was almost impossibly high. It was, quite simply, the performance of his life. And everyone knew it—except, obviously, Paul. As the final note faded to silence, he reached for the talkback mic. “Nice one, David,” Paul said matter-of-factly. “Can we try another pass?” There was a long moment of silence. “Another pass?” The trumpeter looked up at the control room helplessly. He seemed lost for words. Finally, he said softly, “Look, I’m sorry. I’m afraid I just can’t do it any better.” Mason knew that he had nailed it, that he had played everything note perfect and that it was a prodigious feat that he could not possibly top. 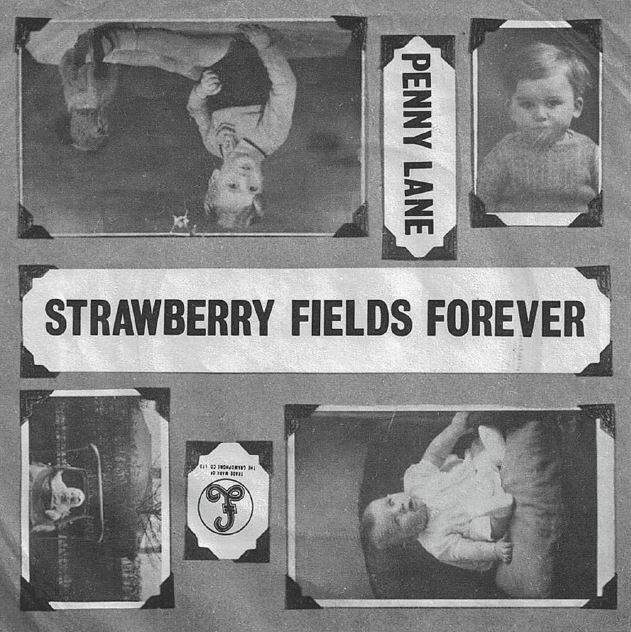 …Released in the United Kingdom on February 17, 1967, “Strawberry Fields Forever” backed with “Penny Lane” proved to be an iconic, paradigm-shifting moment for Martin and the Beatles. Just as George had predicted it would be. 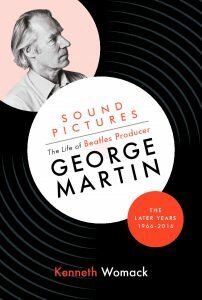 For more information on Sound Pictures: The Life of Beatles Producer George Martin (The Later Years: 1966-2016), visit Orphans publishing.